The annual Katie Ride for Life event is a big part of this effort on the First Coast, and the story of the late Katie Caples is the reason why. Jennifer Cook, events director of the Katie Ride for Life. We also learn more about organ donation with Dr. Martin Mai, medical director of the kidney transplant program at Mayo Clinic, and Savannah and Cameron Mullis. Savannah, a Mayo Clinic employee, donated one of her kidneys to Cameron, her husband. More than 200 web developers and technology professionals will descend on St. Augustine this week to hear from local and national tech experts during the Ancient City Ruby Conference. Micah Cooper, a developer at Hashrocket, is emcee for the conference. He joins us with a preview. WJCT sports analyst Cole Pepper stops by to discuss the news about the Jacksonville Sharks, the Jacksonville Armada FC, and other local sports teams. Editor's note: This article has been modified to clarify the parties involved in the lawsuit. 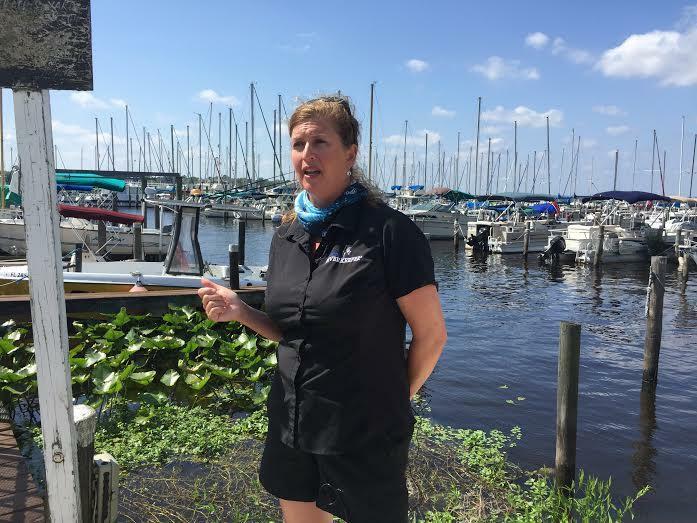 On the final leg of a conservation-awareness tour, the St. Johns Riverkeeper announced Friday it’s suing to halt plans to deepen the river. The lawsuit is challenging state environmental regulators' approval of a Jacksonville plan to accommodate larger ships at JAXPORT.